Changing limiting beliefs in Bournemouth, Poole, Broadstone and Dorset. 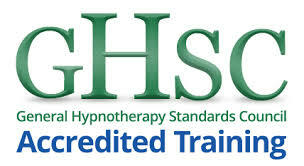 Changing limiting beliefs (CLB) in Poole, Broadstone, Bournemouth & Dorset. A changing limiting beliefs course and hypnotherapy & hypnosis are a way to help you take more control of your thoughts, feelings, emotions and worries. 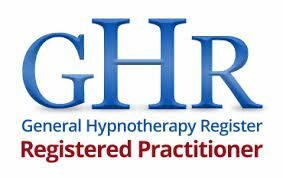 By combining both hypnosis & hypnotherapy whilst understanding how you think and react in certain situations, can help you to take back control of your life leaving feeling more empowered and confident once again. Why do some people keep getting colds… whilst others never get colds? Why do some people get so depressed that they can’t do anything, whilst other people, despite dealing with some terrible situations, are resilient and face the pressures and stresses of life? When you really understand more about how your mind works- for example, how to deal with your emotions, what type of personality you are and your thinking styles- you feel much more in control and able to change. As you start to realise that many problems- such as feeling stressed, anxious or depressed or general bad health- are either caused or made worse by the way you manage your thinking; you can start to feel better. You are the only person who can control the way you think and feel so you are the one who can change negative thoughts and feelings and start to feel the way you want to! The training program will provide you with an amazing personal insight into yourself, which will allow you to totally change your old limiting beliefs to new positive ones so you can start to deal with any problems no matter how difficult. Do you obsess about things? Do you blow things out of proportion? Do you always imagine that think things will go wrong? The key to your own personal success with this training program is understanding some of the causes behind your own negative beliefs. When you have more insight into yourself about what is going wrong then it is much easier to change your thinking style to a far more positive one and become much more empowered. The way you process your thoughts is very important to the way you feel and if these limiting beliefs are very negative then you can hold yourself back and never achieve your true potential. These sessions have already helped to change the limiting beliefs of people who suffer with problems such as post-viral fatigue syndrome, Myalgic Encephalopathy (M.E. ), low self esteem, obsessions and confidence issues. When you can understand more about your own character traits, personality and thinking styles andrecognise some of your negative and limiting beliefs then you can start to manage your thoughts and feelings and feel more positive and empowered. Usually the course takes around 6 sessions to complete but quite often this can be completed even quicker. For any more information or to book a free initial consultation please call Rob on 01202 245020 or 07920 885015. Covering Bournemouth, Poole, Parkstone, Oakdale, Corfe Mullen, Christchurch, Broadstone, Corfe Mullen, Wimborne, Creekmoor, Blandford, Ferndown, Canford heath, Wareham, Upton, Hamworthy, Swanage, Merley, Sandbanks, Westbourne, Branksome, Boscombe, Southbourne, Blandford Corfe Castle, Studland, Shaftesbury, Salisbury, Farnham, Six Penny Handley, Wimborne, Three legged cross, Fordingbridge, Pimperne, Tarrant Hinton, Verwood, Sturminster Newton, Horton, Tollard Royal and Compton Abbas in Dorset.